Dr. Berta Strulovici, founder and director of the G-INCPM (The Nancy & Stephen Grand Israel National Center for Personalized Medicine) at the Weizmann Institute (Israel) visited us on November 3, 2016. Created in 2012, the G-INCPM is an integrated multidisciplinary center that functions as a "collaborative hub". Thanks to the support of major private donors, it is equipped with high-level technological infrastructures, enabling the Israeli academic, medical and biomedical industry to access advanced technologies in the fields of genomics, proteomics, drug screening / discovery and bioinformatics(Http://g-incpm.weizmann.ac.il/). 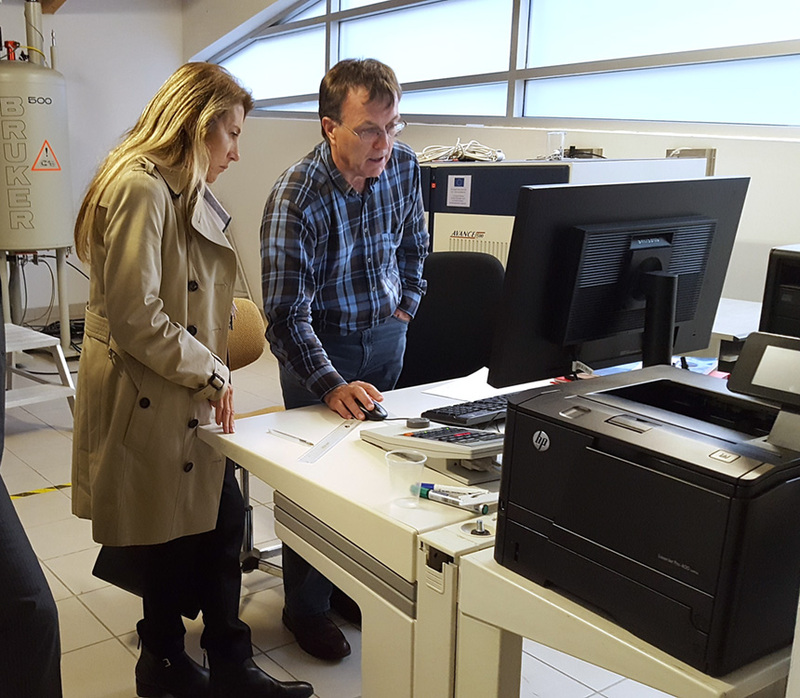 Dr. Berta Strulovici met with Prof Alain Milon, Deputy Director of IPBS, and researchers to explore opportunities for Franco-Israeli cooperation. Numerous ways of collaboration between G-INCPMs, and more generally the Weizmann Institute, and IPBS have been highlighted during this visit and will be pursued in the coming weeks.